The Chairman, House Committee on Information, Security and Strategy of the Lagos State House of Assembly, Segun Olulade, has condemned the incessant killing of innocent Nigerians in recent times, describing it as a dangerous trend. Olulade made this statement while reacting to the recent murder of two legislators, Senator Gyang Dantong and the Majority Leader of the Plateau State House of Assembly, Gyang Fulani. 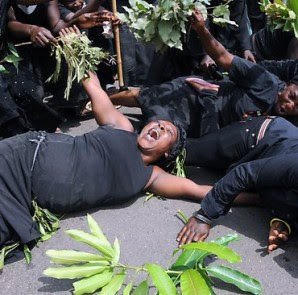 Their deaths in Plateau State have created controversies. While commiserating with the National Assembly, the Plateau State House of Assembly and the families of all the deceased, Olulade said that though the gruesome murder of the two lawmakers was not the first of its kind in the country, it is coming as a warning to everyone that nobody knows who the next victim would be. He berated the Federal Government for its failure to curb the alarming rate of mass killing of innocent people, especially in the Northern part of the country which had lasted for many months now. Olulade urged the government to be pro-active in taking security measures capable of rescuing the present nation from the security mess. He reiterated the resolution of the Lagos State House of Assembly in one of its recent plenary sessions that the Federal Government should redeploy all corps members posted to highly volatile and trouble states in the North to more secured parts of the country to save them from avoidable and reckless deaths in the hands of irate bombers as experienced in the past.